Yeah. Finally I finished the first part of my Modern Medallion. I had issues attaching the freezer paper. It took me forever! And the ripping off, wasn't fun. I am afraid I sometimes pulled a bit too much and it ended up in untidy stitches. Mitered corners are beautiful. In general. Not mine. They are all over the place. And the fabric turned out really wonky around it... Shame. That's why the last boarder was attached just squared up (if that's the right term?!). Overall. I am really happy how this first part of the Modern Medallion turned out. I love the floss and all the colours. And all my little mistakes make it more personal, right? 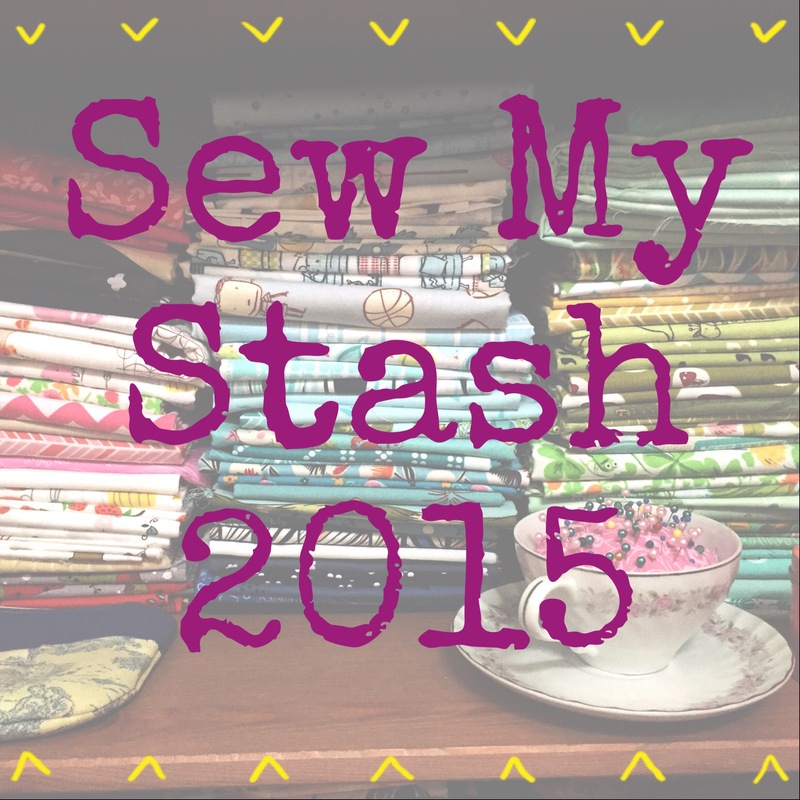 Linking up today with crazymomquilts, let's bee social, NTT, TGIFF and TGIFF (twice today). 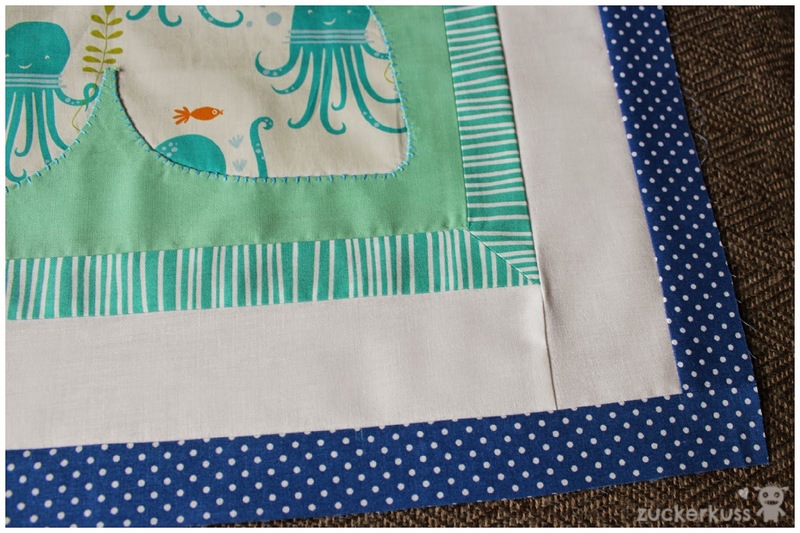 What gorgeous fabrics you chose for this project, Laura! 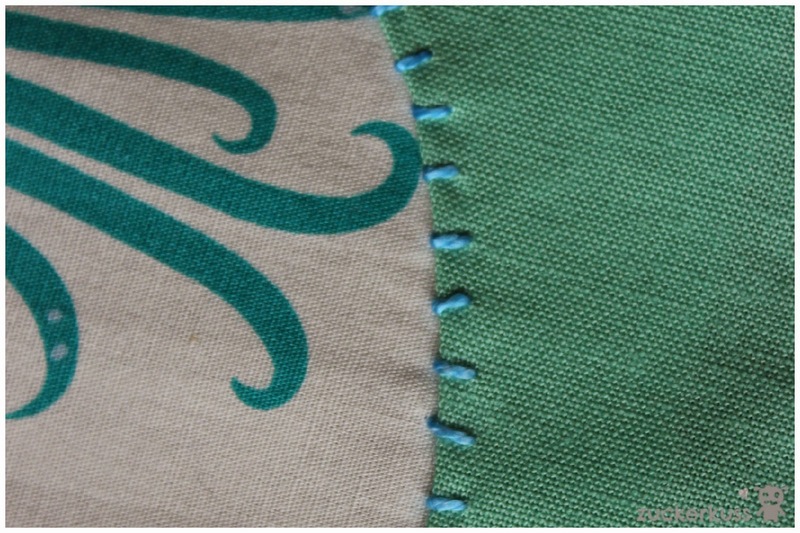 I love your hand stitching! Good for you not getting discouraged and giving up. You can learn from the little mistakes. Your medallion looks great to me! Such happy octopi! Thanks Lorna. I try not to get worked up about the mistakes but appreciating them... Not as easy. I love the octopi as well... ;)) but I can't wait to start your elephants!!!! The mistakes aren't mistakes... they're features. At least that's what we used to say when I worked for a hand cut crystal factory! I think the starch will wash out... or so I am hoping given that I overstarched some parts of a current project! Thanks for linking up with TGIFF! Not mistakes but features, I like that attitude Jenn!! Thx. I'm thinking the starch will wash out as well. I'm hoping it does. I know of others who have noticed the starch changing the colours on solids. I love the colours in your quilt, and your hand stitching looks amazing. I love that fabric choice for the middle! Octopi are so neat! Thanks Sheri! I think I go with that attitude of at least one feature per project; even though it's usually a few more... But you are right. In a few weeks time I probabbly can't even remember or see them anymore. Those octopi! Do you know who/what collection it's from? 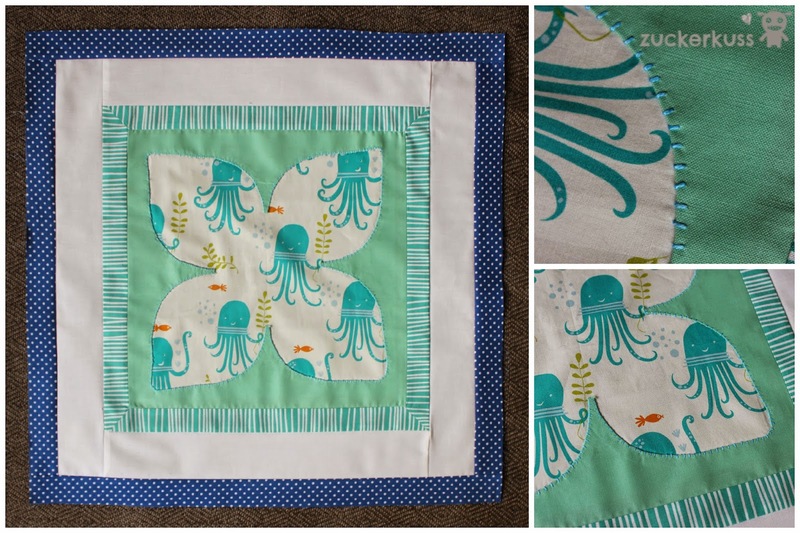 The octopus print is octopus party, under the sea (collection) of monaluna. It's 100% organic and was great fun to work with... Can really recommend it, and of course all the monaluna fabrics!! I'm in this class as well! And having many of the same wonky issues!!!!! I would love to see how your medallion turned out, especially when you were facing similar issues. These colors are so pretty, and I love the fabric you chose for the center! This all looks so pretty and fun and whimsical Laura! You are too hard on yourself...truly. Your stitching and your mitered corners look great! 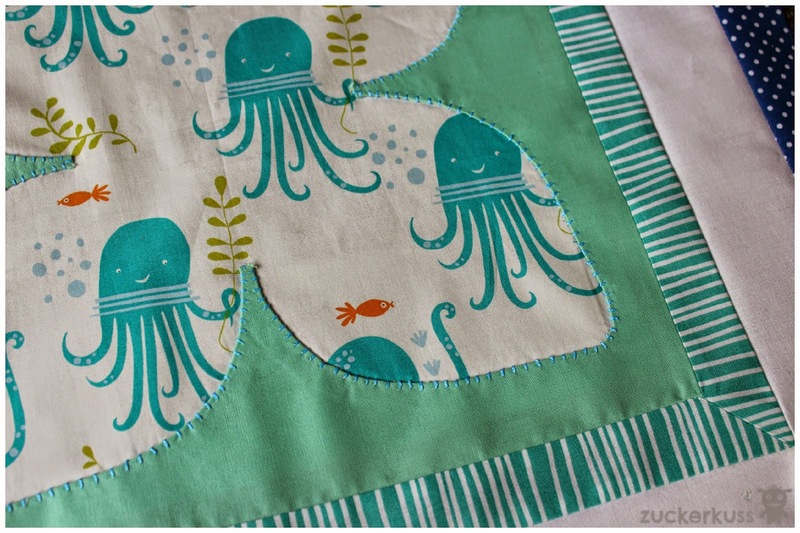 I'm loving that octopus fabric you used too!